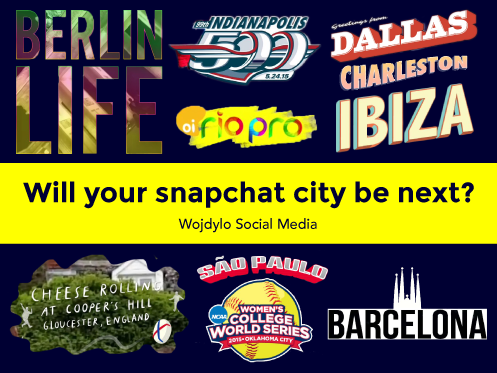 Home › Snapchat Today › What City Will Be the Next on “Life” Snapchat Stories? What City Will Be the Next on “Life” Snapchat Stories? Over the spring months of March and April there have been quite a few “Life” Snapchat Stories. So far we have seen a NYC Life, LA Life, London Life, Dubai Life and Toronto Life Snapchat Story. The NYC Life and LA Life have been repeated a few times and they were actually up for multiple days during the second week in April. 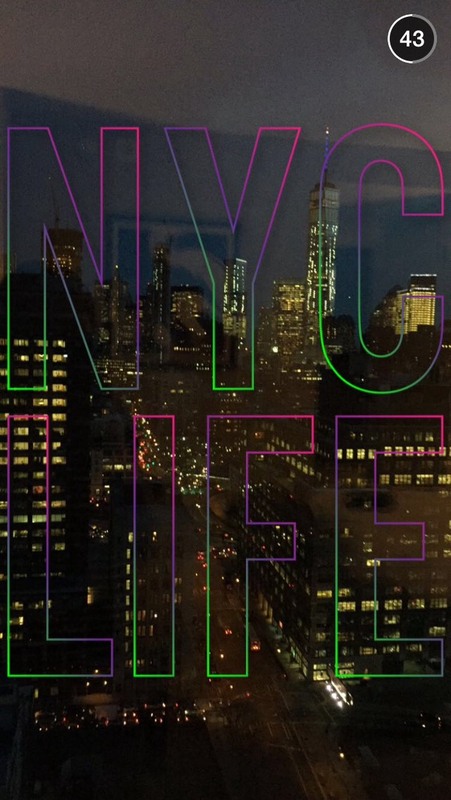 This begs the question, what city or which cities will be next on the “Life” series of Snapchat Stories? Should Snapchat Do Small Towns as Part of the Life Series? It is quite obvious Snapchat is not limiting themselves to just the United States with three of the five “Life” stories being outside the United States. That said, there are plenty of interesting cities that have yet to be featured during the “Life” series. The first that comes to mind is San Francisco. With Snapchat being headquartered in the SF area it only makes sense that we would see a San Francisco Life Snapchat Story in the next few weeks. As we head up the west coast the next in line would be Portland, Oregon or Seattle, Washington. Both of these beautiful Pacific Northwest cities feature some beautiful scenery that would be perfect for Snapchat Stories. If they are going to do Seattle, Washington you can guess they would also do Vancouver, British Columbia. Other cities that are in the western part of the United States that are likely to be featured include Las Vegas, Salt Lake City, Phoenix, Sacramento and San Diego. It will be interesting to see if Snapchat does anything with Yellowstone National Park or Yosemite National Park as those would be some very interesting stories as well. As we make our way east the popular cities to feature would be San Antonio, Houston, Dallas and Austin in Texas. There is always plenty going on in the state of Texas so I would be shocked if we didn’t see a few stories related to those particular areas. Other cities along the Gulf of Mexico that should be featured are New Orleans and Tampa. The sunny locales are extremely popular on Snapchat so stories for Miami and Orlando are a must. As we head up the east coast it makes sense that Snapchat would feature the historic cities of Savannah, Georgia and Charleston, South Carolina. These two cities are absolutely perfect with all the historical landmarks. Myrtle Beach and Wilmington have potential but I doubt we will see Snapchat Stories for those particular beach towns. We will absolutely see Snapchat Stories for Atlanta, Georgia. This one will be coming very soon. I would expect the same for Charlotte, North Carolina. Washington, DC, Baltimore, Philadelphia, Boston and Pittsburgh will be some of the popular candidates as well. Detroit and Chicago will be featured at one point in the near future. As far as international cities I think anything goes. Obviously there will be Paris, Rome, Athens, Sydney, Shanghai, Madrid, Barcelona, Stockholm, Berlin, Rio de Janeiro and others. What do you think should be the next city that is featured on Snapchat Stories? I would love to know what you think. Unfortunately, my home town of Chapel Hill, NC is likely too small. There might be a Raleigh, NC Snapchat Story but I think even that is too small. Maybe Snapchat will do a round of colleges and universities? I think that would actually be pretty cool. I guess we will have to wait and see. Maybe they will start with UNC. More likely, they will start at Stanford. Toronto Life Snapchat Story on April 15th, 2015 | What Does the Mad or Pissed Face Emoji Mean on Snapchat Best Friends? It would be nice to get a Gateway to the Midwest day, aka St. Louis. It gets such a bad rep, but is really a beautiful city! It really is, I love living here. Yes it is great! I really wish Kansas City wasnt the only geotagged city in MO. :/ We need STL life!! Alaska…Anchorage, Denali national park, Fairbanks would all be beautiful to see! They’re in big leaps. New York to LA. London to Dubai. Could be San Fran to Dallas. Dallas to Detroit. We need a Laredo Texas one. Unique culture we have on the border. Yes, I agree… Do Chicago!! I miss my home city! As a swede, Stockholm would be nice. Saw that Oslo is on today, but I would say that there is a lot more happening in Copenhagen! But because I’m living in Australia now I would like to see Melbourne, Sydney, Brisbane and Adelaide! As an San Francisco guy I absolutely can’t wait for our time to shine! Going to be so many different things to put on there! The Midwest hub of many cultures and lifestyles. I am waiting for a Detroit story!!! HOW HAS CHICAGO SERIOUSLY NOT BEEN FEATURED?! It is the 3rd largest US City and is an amazing blend of cultures from all around the world and the country. Easily the best US city! Also, I live in Helsinki right now. Maybe not the most interesting city, but it is beautiful nonetheless! It’s still missing Rome tho! Snapxhat really needs to Show some love to DENVER COLORADO! Please do St.Louis!! It’s such a beautiful city and deserves a live story!! Is Istanbul a small city? Why it isn’t be on list? I think Lahore,Pakistan should be featured on Life stories. San fransisco will rock snapchat!!! I’m from just outside sf and visit all the time so I’m super excited to go and post all my cool adventures! People are gonna love to sf and its wonders! I hope Rome! But is possible to partecipate? Not going to happen for Yellowstone NP. No reception there lol. I wish they’d do Fargo!!! No one knows what we’re about and there so much going on every day!!! Or even my home town of Minneapolis!!! Brussels is a really nice city! DOMINICAN REPUBLIC!!! PUNTA CANA, OR SANTO DOMINGO!!! Santiago de Chileee!! Here is the tallest building in Latinamerica. A beautifull and very interesting city, you’ll see. Do Peru!!! We have Sooo much culture we would love people to see! And Machu Picchu!!! Do Seattle! As a fellow boat owner it will be amazing to get pictures of the skyline! Also university of Washington in Seattle would be great! I’m sure there are many boat owners out there that would love to get the skyline! Did you skip Rome because we added snaps but the story didn’t go live? New Mexico! Always left out of all the fun!!! There is a beautiful culture out here that no one even knows exists. Scuse me, some days ago there was Rome as City. I share a few of Snapchat on the “live” but I couldn’t see them because Rome was not in my “live events”. Probably because we can’t see live of our city? Since youve featured a lot o major citites in America, Europe and the UAE as well as Mumbai, India, how about #karachi, Pakistan next too? When your city is in “life” YOU can’t you see it? Please Valencia, Spain on the east coast, the place of the Fallas!! And Paella!! Does anyone know how to get featured when they do your city or how to find out about it? How about the upper peninsula of Michigan?! SANTO DOMINGO OR PUNTA CANA! Dominican Republic! PLEASE do one for my city, Philadelphia. This will finally break a few nationally held stereotypes about my city being dirty and ghetto. Philly is beautiful, and the people who perpetuate the aforementioned stereotypes have obviously never been here. I’m so ready for Philadelphia Life! Please come to SLC!! It would be so great to see my city!! Charleston life is tomorrow my home town !!! Just did a quick write up! Cannot wait for this one. Can Florida be on there please!! AUCKLAND, NZ!!! Ppl here live off of snapchat!! I can’t say how much I would love my hometown of St. Louis to get some recognition here! Such a great city with so much to offer! Just thought I’d throw this tidbit in there Snapchat is NOT headquartered in San Francisco. It’s easy to think that because most tech companies seem to be out there nowadays. Snapchat is actually headquartered in Venice, Los Angeles, CA. New mexico on snapchat for the summer please. We all need to be featured, because new mexico is beautiful and we are outgoing like Denver our neighbor. Copenhagen!!!! There is distortion !!!! I think you should do Bermuda, maybe not as a life but on a hold like July 31 (beachfest) this would be really cool and you could see our waters and our beaches. Think about it! The fastest developing city in the world, Colombo should be featured! Reno, NV! Biggest little city in the world! YOU DIDNT DO ALOT IN THE MIDDLE EAST! PLEASE DO OMAN!! YOULL BE SO INTERESTED ON HOW PEOPLE LIVE HERE! They just did the first Life Story in Belgium yesterday,in Brussels. Time for another belgian city: Liege!!!! ..or Antwerp could be nice too! Aarhus you should make one in the second largest city in denmark it’s just a gorgeous city!!!!!! Please do, Mile high city, Denver, Colorado. Yes, please do Tampa Florida. Mount Morris, PA. high point raceway. Lucas oil pro motocross runs there today. that would be a nice event. Will you ever do Europe at all? it’s a must that you consider us here down in Wales!! Seoul, South Korea is a beautiful city. I’ve got a year left here and it would be great to see what others do in a city as unique as Seoul. I’d love to see some Japan. We have fun here in Sendai and Tokyo!! Birmingham, AL. Don’t even live there, but I have visited, it’s a cool place bro. Vienna!! It’s the capital of Austria, its a cultural center (especially music) and has loads of beautiful sights and history. Do a nova Scotia live snapchat story!! St. Louis 100% it’s soooo beautiful and fun and no one ever hears about the positive things happening there!! it isn’t the “dangerous” place people think it is! TAMPA TAMPA TAMPA TAMPA TAMPA TAMPA TAMPA TAMPA TAMPA TAMPA TAMPA TAMPA TAMPA !!!!!!!! DOMINICAN REPUBLIC LIFE PLS WE NEED THAT!!!!!!! Orlando or Cape Coral, FL ! San Diego Life defiantly! from their beaches to the bays, from the surf to the turf, best city in the U.S.! Do Milwaukee for summer fest the worlds largest music festival. HOUSTON needs to be live. How can you skip that being live, when reality Houston will always be live day or night! Always lit. Please do St Vincent and the Grenadines in the Caribbean!! Central Valley in California is made up of several small towns with A LOT of agriculture it would be neat to see small towns all over the world. PLEASE PLEASE DO ADELAIDE South Australia, you’ve done Melbourne and Sydney..
Pleaaaaseeee Do Santo Domingo, Dominican Republic!! New Orleans would be the most unique/funny culture shock to most people. Why not do the Middle East !!! Jordan , Palestine (not Israel ) , Algeria , morocco, Yemen , Syria ,Lebanon , why not !!!! El Paso is waiting for you guys, we have so much to show the world! San Antonio Texas please! Home of the Alamo! Let us show you how the country folks live! Been there, this country is Gorgeous!!!!! Best nightlife in the Middle East !!!!! Utah!!!!!!!!!!!! Utah!!!!!!! Come on!!! Have you seen our mountains?!?!?!? Jeddah is amazing. So much you should know. You will enjoy seeing Jeddah. Gainesville Florida is always full of fun loving gator fans! the night life can go from Clubbing to mudding to college parties! We’re a great little college town! ST. Louis, MO for sure! Edmonton AB in Canada!! It’s the capital of Alberta and it’s beautiful and has character plus we need more Canadian stories. You have to do muscat , Oman … you won’t regret it 😀 .. The beach the wadis the , the cultur it self . It has to be on live please please ! Give middle east a shot and do Beirut,Lebanon please you’d be intrested in our lifestyles. Would show the world how the middle east really is and not as shown on the media..
There’s no way they couldn’t have done Orlando Florida. Orlando life have two be next or close to being next. It’s one of the big vacation spots to visit on the world. maui, HAWAII, PLEASE, i mean im not like begging, but i think the scenery and sunsets are amazing, the people are creative, and theres more that goes on here than you think !!! Snapchat is headquartered in Venice, nowhere near San Francisco. Maybe I’m biased because I work here, but today’s SF story was boring. El Paso, TX/Ciudad Juarez, MX is interesting if you give us a chance ? 1) Largest binational community in western hemisphere, meaning awesome culture shock. El Paso, Texas has it snapchat!!! Snapchat should do uni stories! Please do Pittsburgh, PA!!!! How could you possibly avoid a beautiful city with a beautifully created football team. Go Steelers!!! Woooooooooo! I’d say lets do a story in Frankfurt Germany ! There’s a lot to see here in Germany’s Manhattan ?? You should do utah or Salt Lake City ? You seriously should do colorado springs or denver. Easily the most active people in the US. So much beauty to be seen! STL is one of the most underrated cities in the U.S. I want people who have never been to see how awesome it is. Im in Fiji,it would be nice to show off my beautiful holidays here in Fiji! Santo Domingo! Or anywhere in the Dominican Republic!!! Jeddah life should be next ! Honolulu life should be one to come soon!! Amman, Jordan. Amazing city with amazing people! Minneapolis/St. Paul, Minnesota!!! It’s really gnarly and beautiful city! PLEASE do Hamburg!! It really is the most beautiful city in Germany? With its such important harbour and all of the well known places and different neighbourhoods?⚓️?? I would love to see Seoul, South Korea & Barcelona, Spain! !